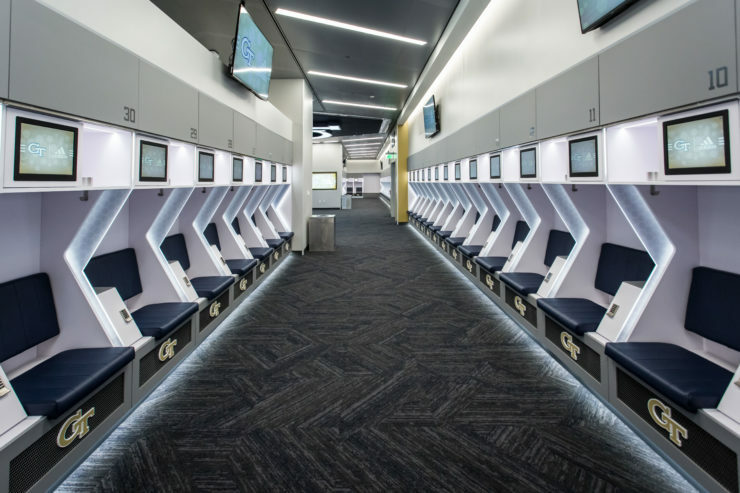 In the uber competitive world of Power 5 football, Georgia Tech found itself falling behind with its football facilities. 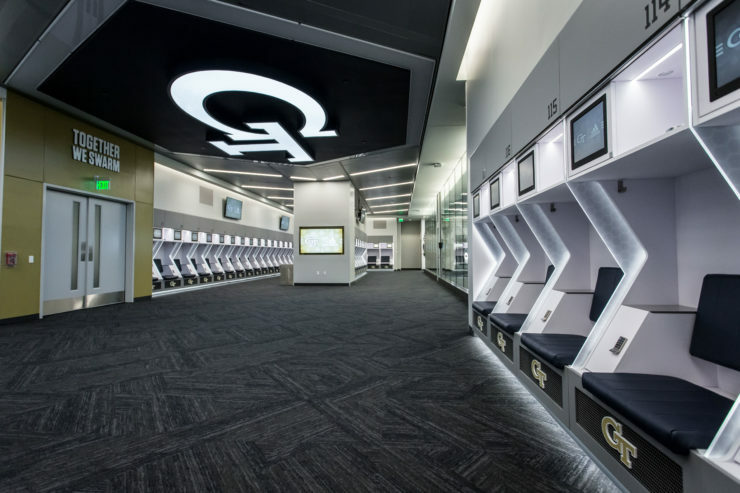 One of the first renovation projects was the GT football locker rooms. 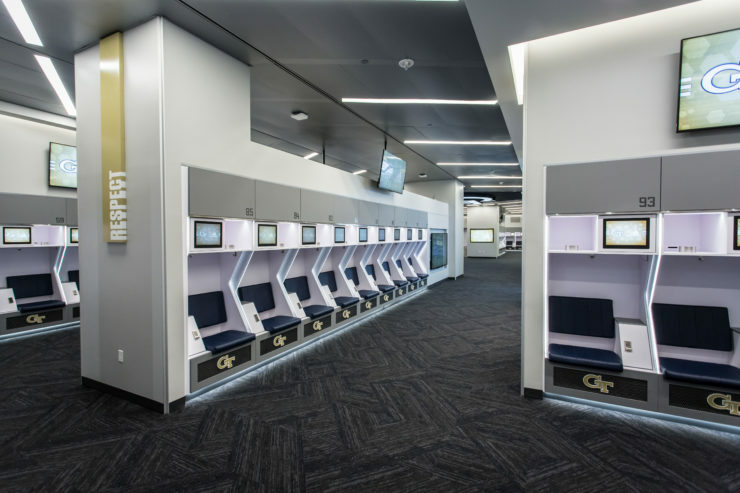 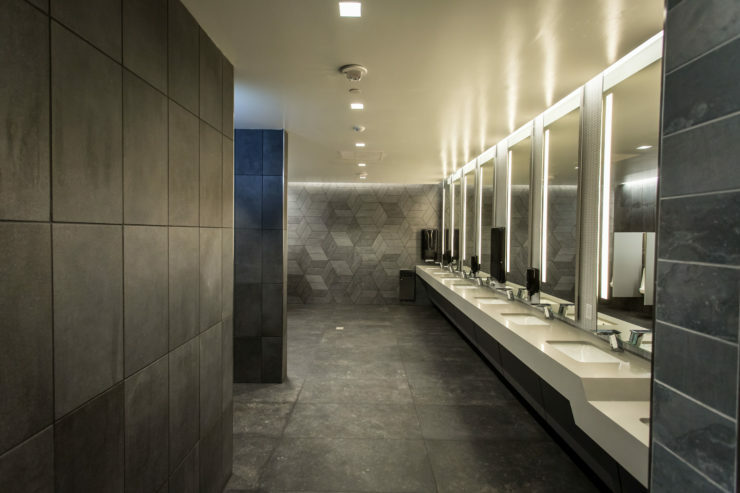 The design firm Heery Design was tasked with creating a state of the art football facility that was not only functional but fit with Georgia Tech’s status as the leading technology institute in the United States. 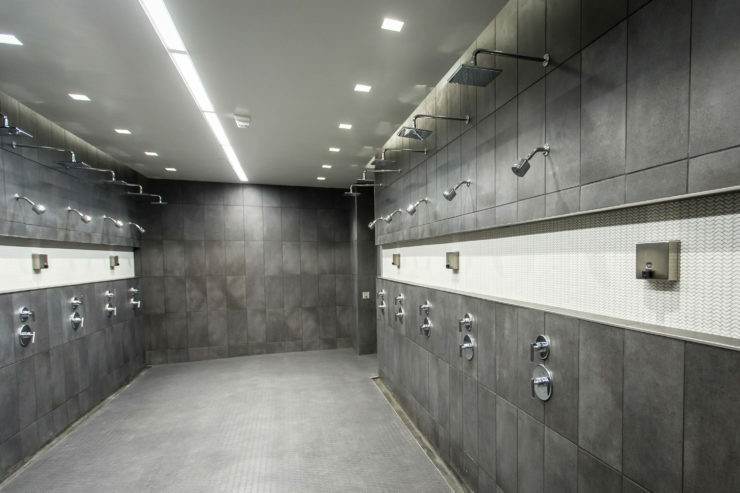 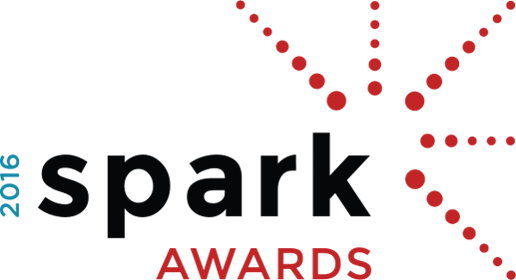 Many past players remember the floor being all oak, oak, oak, oak. 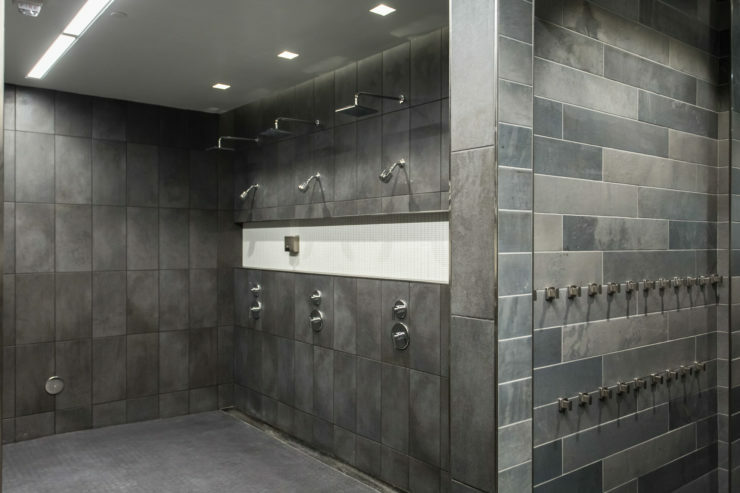 The flooring used to be recycled carpet tile, recycled rubber and so on. 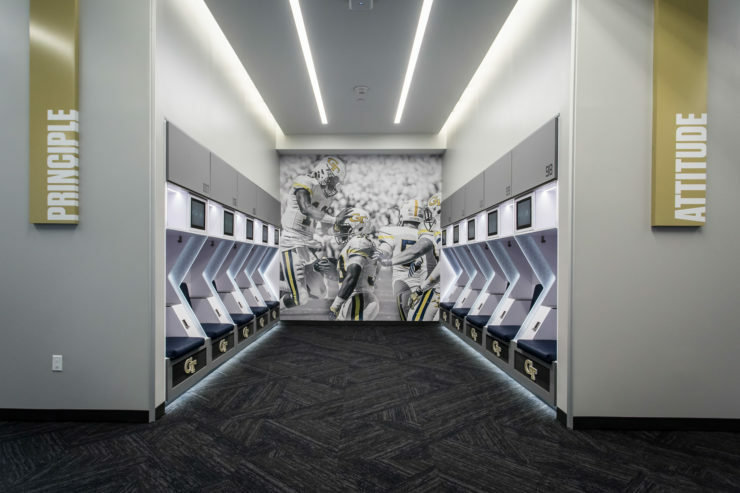 The renderings of the new locker room don’t do it justice. 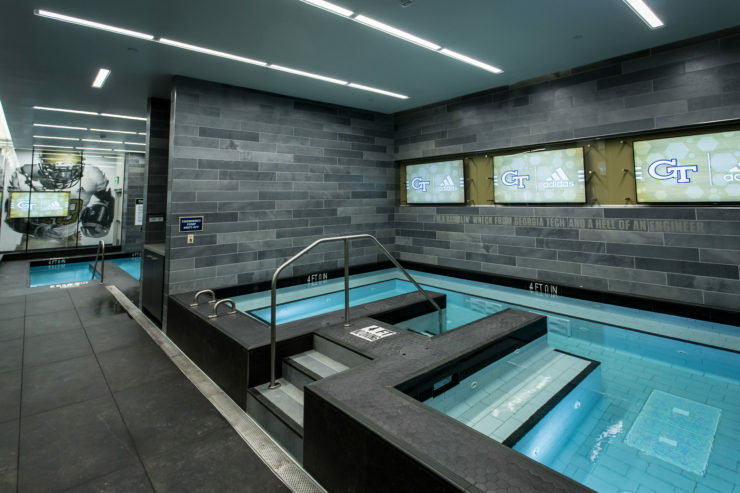 The new flooring and tiling bring this renovation to a whole new level with Georgia Tech written all over it, even in the small tile etching where you can find Georgia Techs mantra engraved. 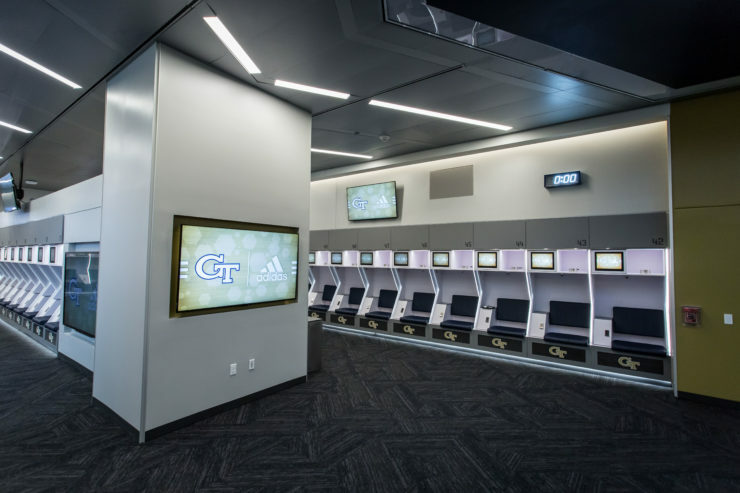 As soon as you walk into this locker room you know immediately it belongs to the Rambling Wreck at Georgia Tech.